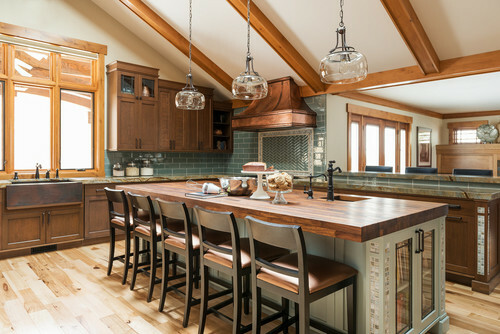 In addition to our own remodeling work, DB West keeps up with current remodeling sites and sources to get new ideas and trends in home remodeling to assist our clients in designing their vision for the perfect rooms. Our "Kitchen or Bathroom Remodel of the Week" highlights remodeling that DB West has completed or kitchens and bathrooms that are in style with what our clients want -- designs that may be unique in their approach, in their use of specialty items or just a great color combination that we would like to share. This designer coordinated the tile accents from the stove back splash by putting a unique design on the corners of the kitchen island and at the ends of the countertop . . .